In this book Paul Willis, a renowned sociologist and ethnographer, aims to renew and develop the ethnographic craft across the disciplines. Drawing from numerous examples of his own past and current work, he shows that ethnographic practice and the ethnographic imagination are vital to understanding the creativity and irreducibility of experience in all aspects of social and cultural practice. Willis argues that ethnography plays a vital role in constituting 'sensuousness' in textual, methodological, and substantive ways, but it can do this only through the deployment of an associated theoretical imagination which cannot be found simply there in the field. He presents a bold and incisive ethnographically oriented view of the world, emphasizing the need for a deep-running social but also aesthetic sensibility. In doing so he brings new insights to the understanding of human action and its dialectical relation to social and symbolic structures. He makes original contributions to the understanding of the contemporary human uses of objects, artefacts and communicative forms, presenting a new analysis of commodity fetishism as central to consumption and to the wider social relations of contemporary societies. He also utilizes his perspective to further the understanding of the contemporary crisis in masculinity and to cast new light on various lived everyday cultures - at school, on the dole, on the street, in the Mall, in front of TV, in the dance club. This book will be essential reading for all those involved in planning or contemplating ethnographic fieldwork and for those interested in the contributions it can make to the social sciences and humanities. Paul Willis is Professor of Social and Cultural Studes at Wolverhampton University. He is also the Founding Editor of the journal Ethnography. Part One: Art in the Everyday. Chapter 1: Life as Art. Part Two: Ethnography in Post Modernity. Chapter 4: The Quasi-Modo Commodity. Chapter 5: Penetrations in the Post Modern World. Chapter 6: Social Reproduction as Social History. Chapter 7: The Ethnographic Imagination and 'Whole Ways of Life'. 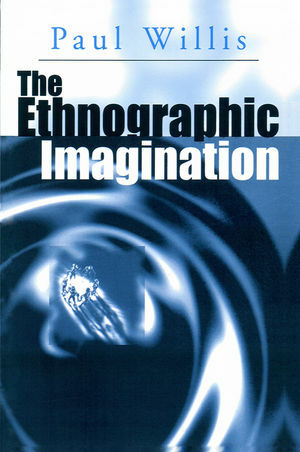 A A highly original and thought-provoking book concerning the nature of ethnography and its importance in social enquiry. A Written by the author of Learning to Labour, this new book is informed by Willis' own ethnographic research. A The book also makes an important contribution to a range of current debates in sociology, cultural studies and social and cultural theory.